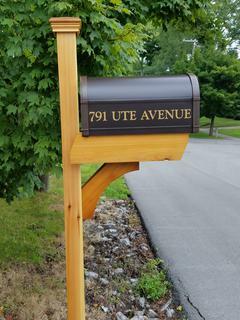 Mailboxes Plus - Rochester's installation company with 26 years of experience. We are in business to provide you with quality installation and service of wood, vinyl and aluminum mailboxes and posts. 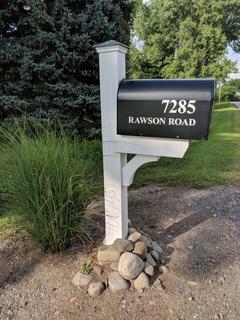 Call us for a locking mailbox, mailbox flag replacement, snow plow damage, insurance repairs, rear access mailboxes, new home mailbox installation, home owner and tenant association mailbox installs. Thank you for choosing Mailboxes Plus. Call us to schedule an appointment to view the displays in our showroom. 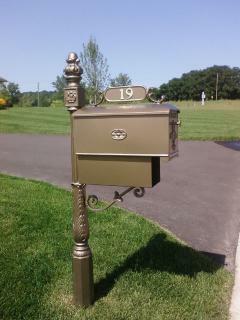 We have a wide selection of posts and mailboxes available in an array of colors. 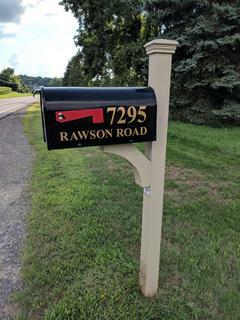 Customized vinyl lettering is available on all mailboxes. Installation is done in Monroe, Wayne, Ontario and Genesee counties. Mailboxes Plus is commercially insured. Builder discounts available. Doubles, Triples, Quads, - all sizes of multiple unit mailboxes are available. We are proud members of the Better Contractors Bureau and Rochester Home Builder's Association.